What better instrument calls to mind at this time of year the cold pure night of stars, the fresh crunch of twinkling snow, the singing, ringing of a merry heart? Nothing but bells of course! 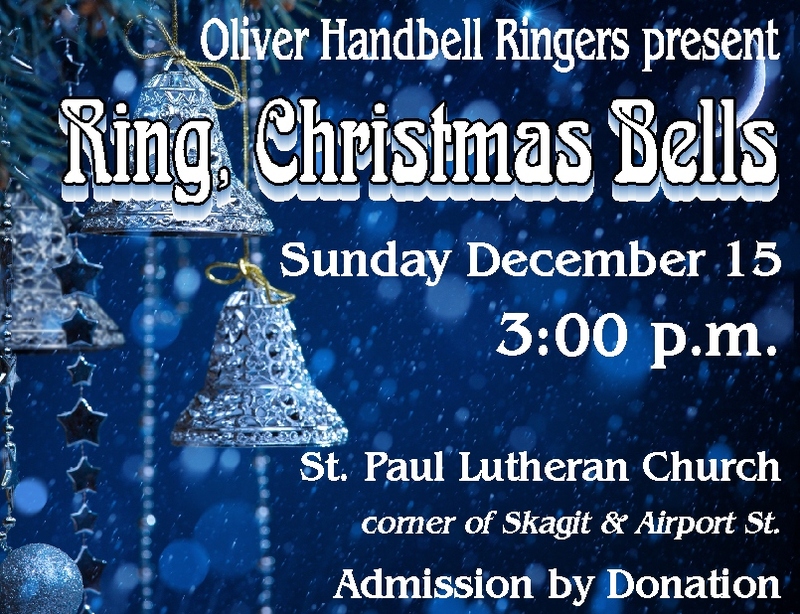 Let your soul lift with the lovely clear tones of the Oliver Handbell Ringers. Ring out, wild bells, to the wild sky, The flying cloud, the frosty light …. Ring out the old, ring in the new, Ring, happy bells, across the snow….